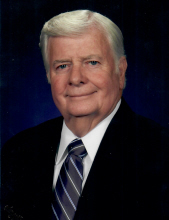 Allen Donnell Lay, 80, of West Frankfort, passed away on Saturday April 6, 2019 in Memorial Hospital of Carbondale ay 4:20 am. Allen was born August 20, 1938 in East Prairie, Missouri to Jack and Mary Nell (Lewis) Lay. He married Patricia Ridgeway on December 17, 1966 in Chicago, Illinois. Allen was owner and operator of the West Frankfort Packing Co. for 30 years where he enjoyed working and cutting beef for his customers who soon became his friends. He is survived by his wife, Patricia Lay; children: Danny Ridgeway and wife Debra, Rocky Ridgeway and wife Julie, Becky Porter and husband Jerry, Tammy Gerrell, and Shelly Lay; fourteen grandchildren: Ryan (Sara) Ridgeway, Travis (Monica) Ridgeway, Nathan (Ashley) Ridgeway, Lance (Kelsey) Ridgeway, Josh Ridgeway, and Nicole Ridgeway. Kyle (Samantha) Cox and Layton (Madison) Cox, Jesse Jackanicz, Dusty (Jamie), Tyler, Cole, Austin, and Callie Gerrell, thirteen great grandchildren; brother, Mickey Lay (Karen), sister Shirley Williford, son-in-law, Joe Jackanicz; numerous nieces and nephews. He was preceded in death by his parents, granddaughter, Jodi Jackanicz, three brothers: Bobby, Edward, and Freddie Lay, two sisters, Dorothy Lay and Vivian Hellums, brother-in-law, Gene Williford. Funeral services will be held Tuesday April 9, 2019 at 11:00 am at the Union Funeral Home in West Frankfort with Brother Mike Cash officiating. Burial will be in the Denning Cemetery on the Orient Road. Visitation will be from 9:00 am until 11:00 am at the funeral home prior to the service. To send flowers or a remembrance gift to the family of Allen Donnell Lay, please visit our Tribute Store. "Email Address" would like to share the life celebration of Allen Donnell Lay. Click on the "link" to go to share a favorite memory or leave a condolence message for the family.